Dr. William Ailor joined The Aerospace Corporation in 1974 and currently serves as the principal engineer for the Center for Orbital and Reentry Debris Studies (CORDS). 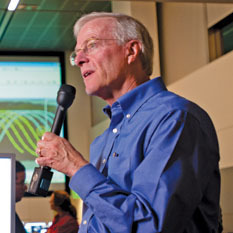 During his tenure at Aerospace, he spent 15 years conducting analyses on spacecraft reentry and reentry breakup. He has served as principal director of the Network Systems and Services Subdivision and led the evolution of Aerospace’s email and network services. He worked in the Strategic Planning Office, where he helped develop Aerospace’s first strategic plan; he also developed the strategic plan for The Aerospace Institute. He also worked in the new business area, where he led the negotiation leading to the corporation’s first major international contract. He was appointed director of CORDS when it was formed in June of 1997. He established and led the Space Hazards and Operations Support Directorate to prototype new capabilities for providing space situational awareness information (information on possible collisions with other objects and threatening space weather events) to satellite operators. He is leading the development of the reentry breakup recorder, a small device that gathers data critical to understanding and minimizing hazards associated with reentering space hardware. Dr. Ailor testified before Congress and was featured on NBC Nightly News, CBS Evening News, ABC News, and CNN as an expert on the Leonid meteor storm’s possible effects on satellites during the period of the storm. He is also known for his expertise in space debris and reentry breakup, and has appeared on CNN, the Discovery Channel, and the Learning Channel on these topics. He provided expert opinion related to the reentry of the Russian Mir Space Station for CNN, ABC News, the New York Times, and the Los Angeles Times. During this period, he was quoted in many local and international newspaper and web articles, and appeared on numerous radio and television live broadcasts. Dr. Ailor testified to the Columbia Accident Investigation Board on what might be learned from recovered debris. Ailor earned a bachelor’s degree in aerospace engineering and a master’s degree in mechanical engineering, both at the North Carolina State University. He earned his Ph.D. in aerospace engineering at Purdue University. Ailor has received the NASA Group Achievement Award three times. He has served on numerous panels, including on the Interagency Nuclear Safety Review Panels for the Galileo, Ulysses, Cassini, Mars Pathfinder, Mars Exploration Rover, and Mars Science Laboratory missions. He has also served as chair or co-chair for eight international conferences, including four on planetary defense. Ailor is a member of the International Academy of Astronautics, an associate member of the American Institute of Aeronautics and Astronautics, and member and chair of the Reentry and Space Debris Working Group, International Association for the Advancement of Space Safety. 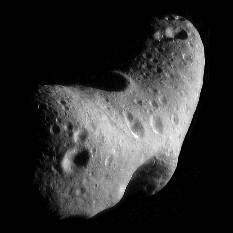 Photo and biographical information from The Aerospace Corporation.